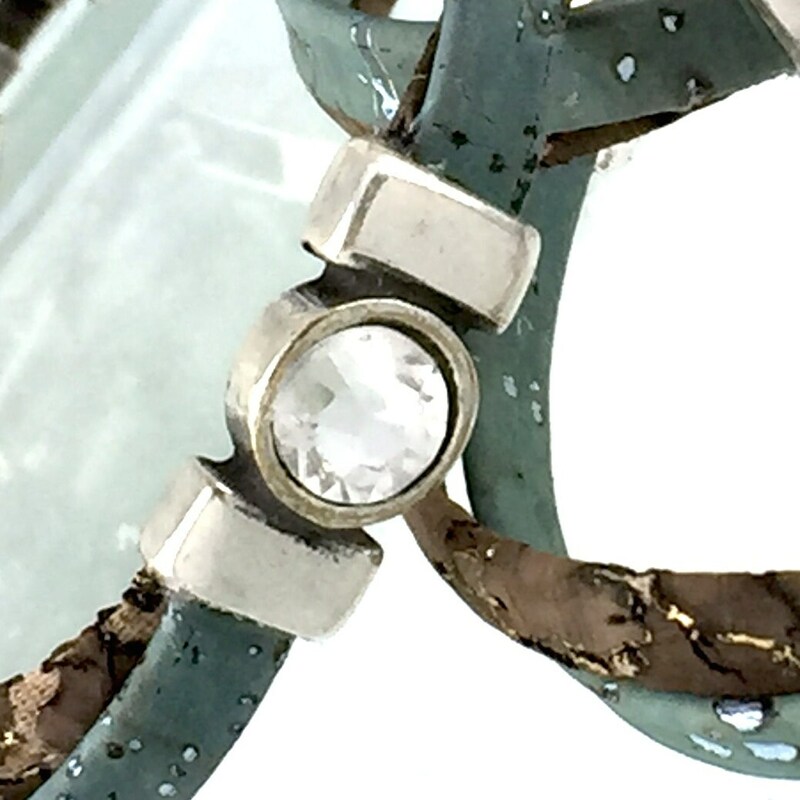 Jewelry that's not only beautiful but environmentally friendly! 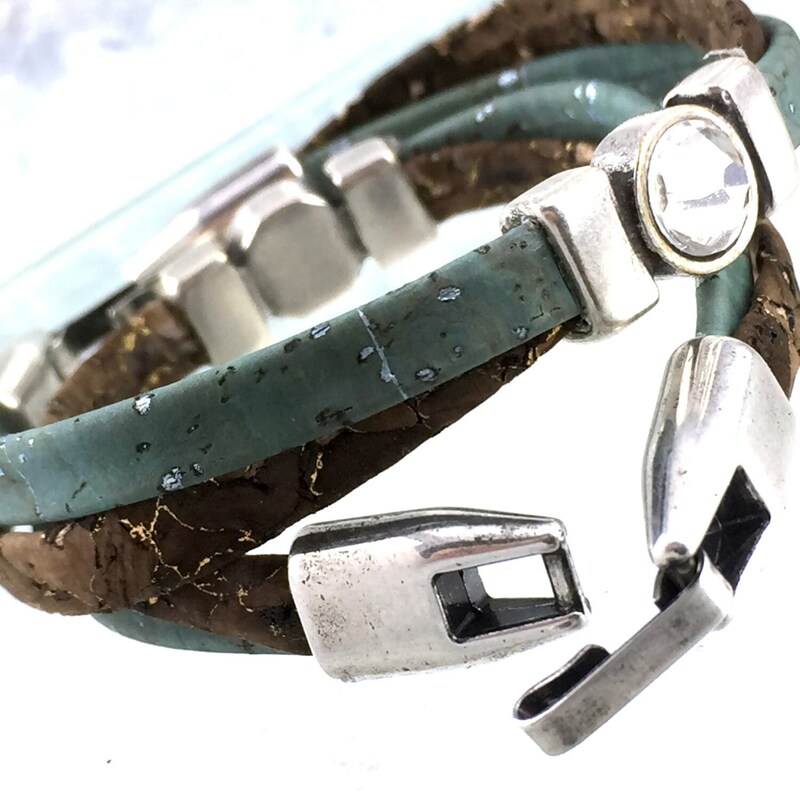 I love working with vegan leather (Portuguese Cork), not only does it come in such beautiful colours but it is soft and light weight. 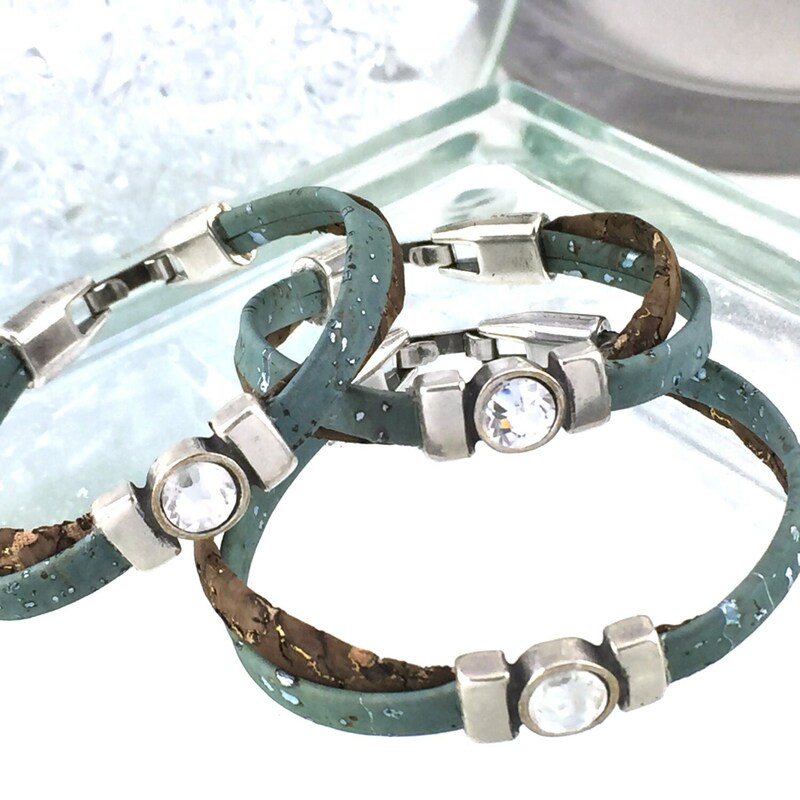 It feels good in your hands and on your wrist! It's called vegan leather because it looks like leather and is as durable but no animal was harmed in the making of this material. 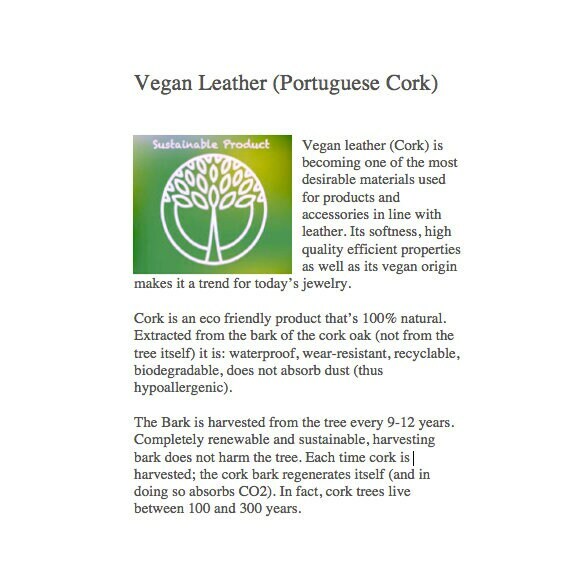 It's live-harvested from the cork tree with no harm to the tree itself, a fully sustainable product (more info on this below). 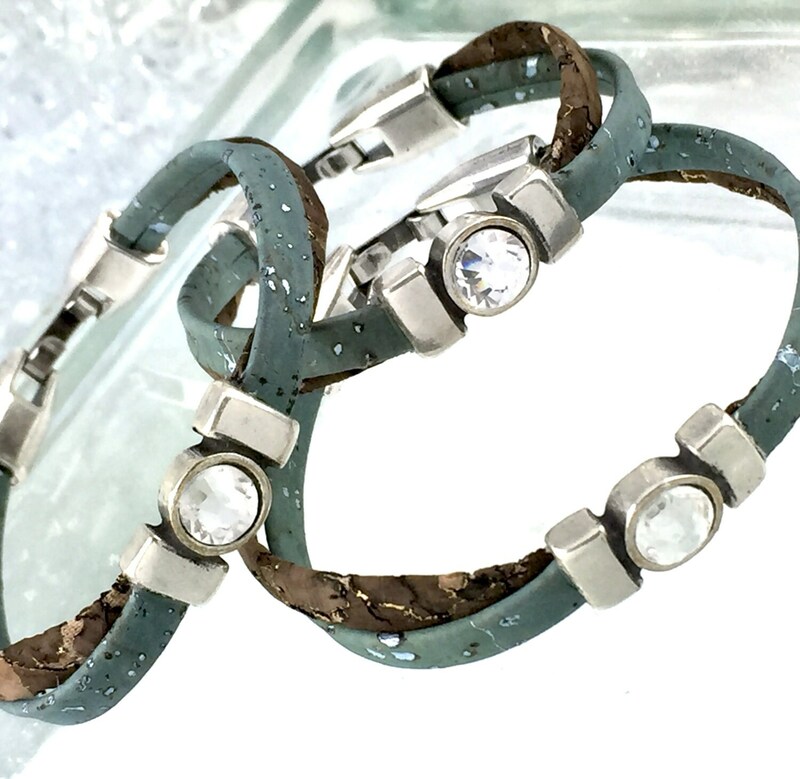 This bracelet features two delicate layers of vegan leather connected by a rhinestone focal with a t with a zamak hook closure. Lovely! When ordering, the sizing corresponds with your loosely measured wrist for a snug fit. If you would like a looser fitting bracelet order a half inch larger size. Currently we only have three sizes available (the bracelets in the pictures are the ones you will receive).